If you’ve never heard of Jacques Prud’Homme, you haven’t had anything to do with aviation in Quebec over the past 30 years. The former President of Cargair Ltée began flying at the age of 12 with his father Victorien. The latter was a businessman, the owner of Prud’Homme et Frères, a concrete mill in l’Assomption, as well as the owner of a Cessna C-180. "He had to have a d… good excuse not to take me fishing with him", he remembers. At the age of 16, he took advantage of a labour strike at his high school to take private flying lessons at Laurentide Aviation in Cartierville. 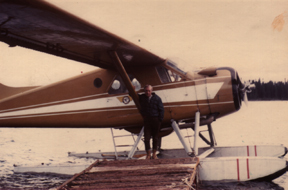 In 1966, he obtained his commercial license from the Montréal Flying Club, also based in Cartierville. At 19, he applied for a position with Air Brochu in St-Michel-des-Saints, but being too young, he was refused. 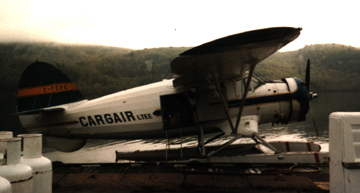 Around the same time, the owner of Cargair, a carrier founded in 1961 and located in St-Zénon in the Laurentians, passed away. Jacques bought the company with his father on June 21, 1968 at noon. The young wife of Jacques, Francine Lebeau came to help at the base. A restaurant and a small bar were open in the base. With his brother Guy, who became a partner in 1974, he turned it into one of the largest bush carriers in Canada. The following year, he contributed to the founding, and became the first President, of the Association des transporteurs aériens de brousse du Québec (ATABQ), which is now the AQTA. With a few partners, he then tried his hand in a helicopter venture, by buying Olympic Hélicoptères. Not at all lacking in ambition, the company operated two Llamas, two Gazelles, four Bell 206Bs, one 206L-1 and one Dolphin. The James Bay injunction and 21% interest rates ended up causing the company to fold in 1981. 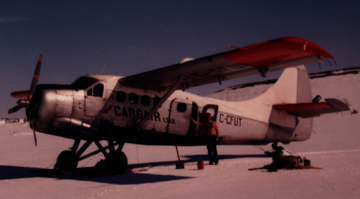 On June 21, 1988 at 11:00 a.m., Jacques Prud’Homme left Cargair. After a year and a half on the golf course, he realised that he was meant to work, not have fun. 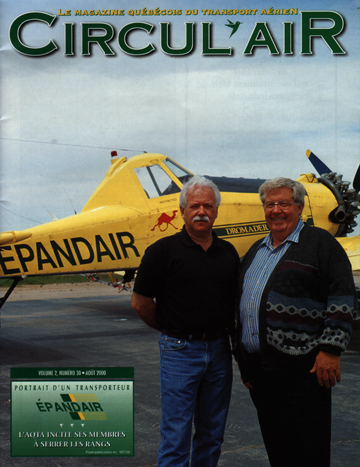 In 1989, he teamed up with Maurice Côté and founded Epandair.